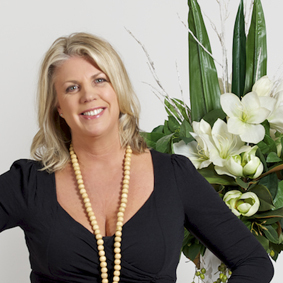 Roe Clapham’s keen eye for design and her instinct for a great business venture saw her begin Buds to Blooms five years ago. Qualifications in floristry and a background working in the fashion industry proved to be the perfect experience for establishing a business that allows offices, hospitals, homes and events to be brightened with the colour of silk flowers. Her silk flower displays are regularly rotated with a new arrangement that will add that extra bit of colour and atmosphere to any room or foyer. The beauty of silk flowers lies not only in their natural appearance – conveniently, they require no water, no dusting and no attention. They are supremely easy to look after as well as look at. Many of the businesses in the Surf Coast region and beyond are taking advantage of the Buds to Blooms silk flower hire service so they are continually looking fresh for clients, staff and visitors.